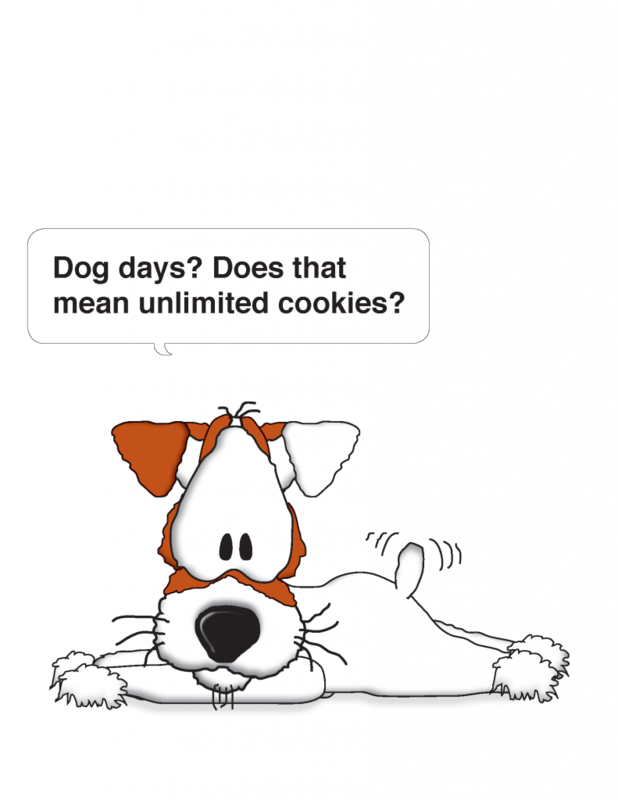 Dog days of summer? I and apparently my dog as well never really understood what “The Dog Days of Summer” were or how many days were given to man’s best friend? A couple? A week? 10? Who knows? It’s one of the great mysteries of life, I guess. Working out with your favorite furry friend is not only good for you but for them as well. Dogs NEED to play EVERYDAY- just like kids. So grab your shoes, the leash and lots of water for both of you and go play. Your doggy will thank you.